On December 18th, 2016, for the NC State Vs. Fairfield Men’s Basketball Game, we helped NC State fans build the NC State Wolfpack Logo out of LEGO. Over 4000 pieces of LEGO were used to create this LEGO sign. The sign was built before the game and completed during halftime. If you’d like to build your favorite team’s sign out of LEGO, visit our Special Events Page. We just wanted to wish you all a Happy International Women’s Day. To find out more information about the day, click HERE. Excited to share how we are engaging girls in engineering with LEGO for Galentine’s Day! On December 5th, 2016,Stanford University Brain Development Department and Play-Well TEKnologies helped families in the Palo Alto community build human spinal columns out of LEGO. The goal was to raise awareness about STEM education, as well as connect the Palo Alto community to the research being done at Stanford University. Over 500 parents and kids from Palo Alto participated in the event. As a group, they attempted to break two Guinness World Records. One of the tallest LEGO spinal column and one for the most anatomically correct spinal columns. They ended up building 86 anatomically correct LEGO spinal columns and one spinal column that was 9 Ft. 2 inches. The San Francisco Chronicle covered the event. Check out video and pictures from the LEGO Spinal Column Event below. Another installment of Under the Helmet our Star Wars-inspired series where we reveal the true storm troopers beneath the mask. Todays edition is starring, Derek! At 16, Derek has a ways to go before he can be drafted into the Imperial Army. For now he is an honorary trooper and everyones favorite pizza delivery boy. He makes sure that all the troops get the freshest, cheesiest pies delivered in record time. Derek will even throw in free breadsticks from time to time. In honor of his hard work & dedication they’ve gifted him a trooper uniform and he’s even allowed to come to free combat days to start developing his skills. Good luck, Derek! Check out all of the Under The Helmet Stormtrooper stories HERE. Another installment of Under the Helmet our Star Wars-inspired series where we reveal the true storm troopers beneath the mask. Todays edition is starring, Raspberry! Being a Storm Trooper is a rough job but Rudy is one tough cookie. She’s an expert marksman, extremely talented at hand to hand combat and she has the reflexes of a hawk. Out in the field she might be a lean mean fightin’ machine but when she comes home she’s just ‘Mom’. Rudy loves playing dress up with her two daughters, Lynne and Valor. Her kids favorite character is Rudy Raspberry, a magical fairy that leaves candy hidden in their house. Another installment of Under the Helmet our Star Wars-inspired series where we reveal the true storm troopers beneath the mask. Todays edition is starring, El Diablo Rojo! El Diablo Rojo is a very special storm trooper because underneath his mask is, well, another mask! He has an outstanding wrestling record and is currently the galaxy champion in his division! Many say he earned his powerful name from the copious blood shed at each of his events. The true identity of this particularly impressive trooper luchador may never be known. Another installment of Under the Helmet our Star Wars-inspired series where we reveal the true storm troopers beneath the mask. Todays edition is starring, Michael! Michael is a real gear head. He loves spending his down time fixing up his podracer. All the troopers on his crew know where to go when they have any mechanical problems. Mike is their go-to-guy. The only thing he likes more than tuning up pods is racing them! It’s day two of Under The Helmet and there are only 6 more days until the release of the new Star Wars movie: The Force Awakens! We have a seasoned vet named Harold for our big reveal Friday. Meet Harold, he’s made a career out of Storm Trooping. Like a fine wine, Harold has gotten better with age honing in his skills and mastering his craft. What does he attribute to his long standing success as a war machine? His morning routine! Harold starts off each day with the crossword and a hot, strong cup o joe. Who is Under the Helmet? In the spirit of Star Wars Episode VII: The Force Awakens, we’ve started a photo series dedicated to finding out exactly who are the Storm Troopers “UNDER THE HELMET”! Each day we will reveal another LEGO mini-fig storm trooper in order to unmask who they really are when they’re not busy viciously fighting for the Galactic Empire! Who is this army and what makes them tick?! We start our journey with a very special stormtrooper, Axle, the lead singer of the popular indie rock band, Imperial Army, their latest album, Death Star, sold over 50 million copies galaxy-wide (mostly to stormtroopers). Their title track, AT-AT, has received critical acclaim for its sampling of found sounds like laser blasts, over traditional rock melodies. We do have one question for you Axle…how does that mohawk fit under that helmet? Stormtrooper Starry got his nickname from his unusual hobby, LARPING or live action role play. Starry is actually a HUGE Harry Potter fan and when he’s not fighting for Darth Vader he is hanging out with his fellow LARPers in their fantasy wizard world. He loves battling elves, rescuing princesses and casting spells. It’s a magical escape from the dreary day to day of the Imperial Army. Michael is a real gear head. He loves spending his down time fixing up his pod racer. All the troopers on his crew know where to go when they have any mechanical problems. Mike is their go-to-guy. The only thing he likes more than tuning up pods is racing them! Check back each day to see more members of Under The Helmet. All Under The Helmet photos are the artist creation of Play-Well Instructor, Megan! 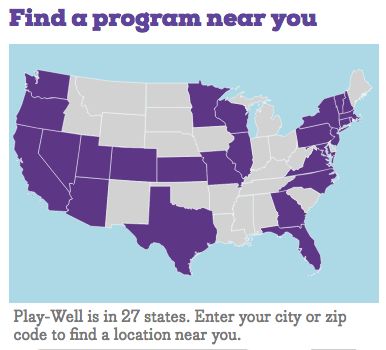 Subscribe to see our latest Play-Well news!